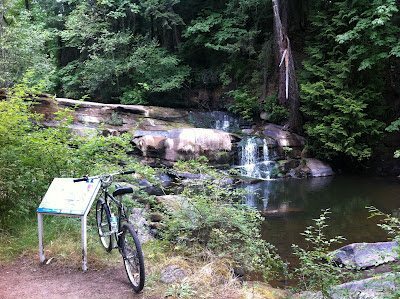 Nanaimo – Let's Go Biking! Nanaimo – Let's Go Biking! 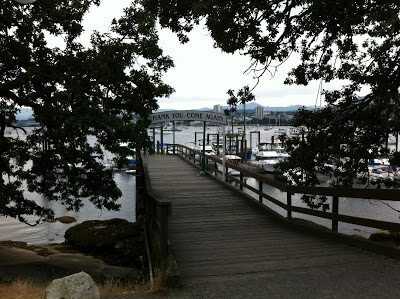 Explore the bike paths at Nanaimo Harbour. 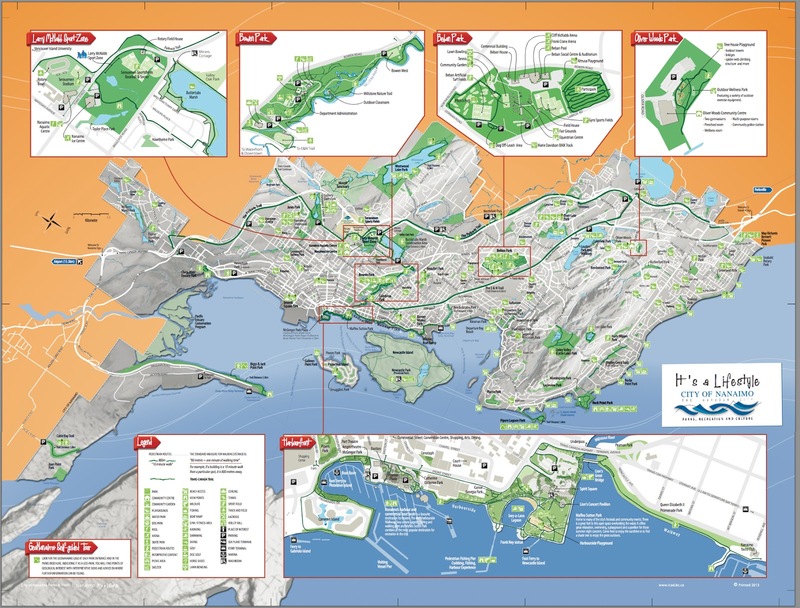 A map is posted along the harbour and copies are available at the Visitors Center or click on the link below. 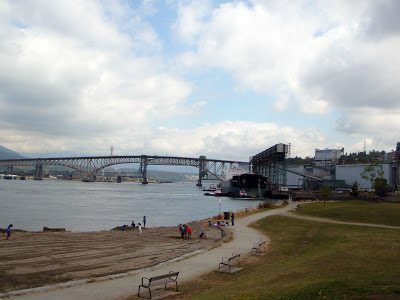 Head along the shore on the Harbourside Walkway, the Queen Elizabeth Promenade then take the little ferry over to Newcastle Island for a ride round the park. 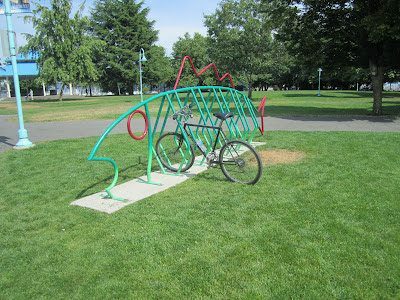 Bowen Park was a delight on this hot summer’s day and you can visit the Buttertubs Nature Reserve and ride the Parkway Trail all the way past Collier Dam Park. 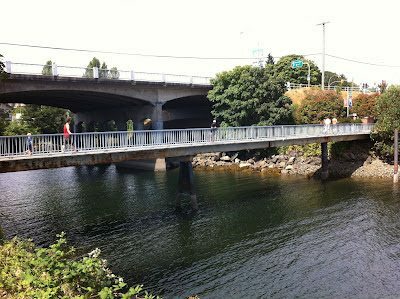 This route through Nanaimo is great for riders of all ages and abilities! 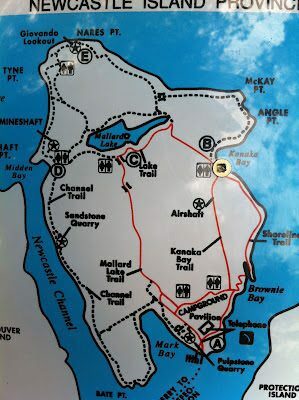 For intermediate riders there’s some single track trails through the Morell Sanctuary and along the power lines to Westwood Lake. 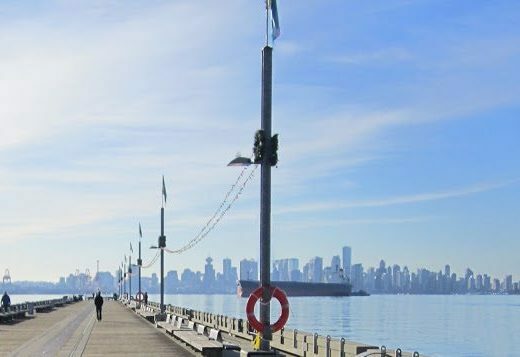 There are paved and hard-packed trails around the lake with only a few spots that would pose a challenge for beginners and chariots. The lake is great to see and the path around is easy and fun. 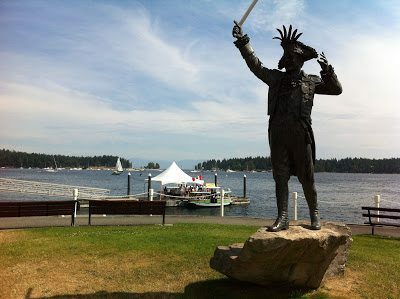 Pick up a copy of the Heritage Walking brochure of Nanaimo and follow the route by bike. 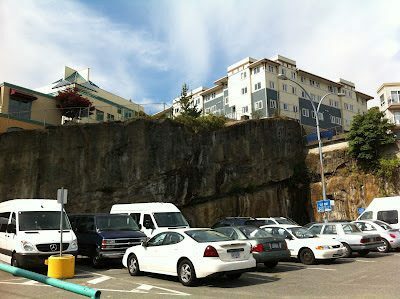 The hills are easy and Nanaimo is well on its way to becoming a very good biking community! 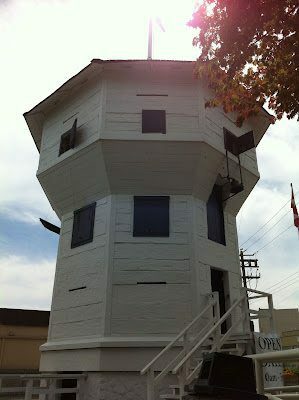 Yay to the Mayor for making Nanaimo — Fun! 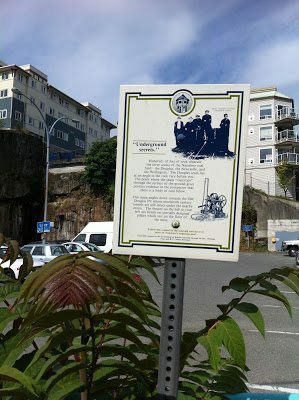 A coal seam…or what is left of it…on the Nanaimo Heritage Walking (Biking) tour. 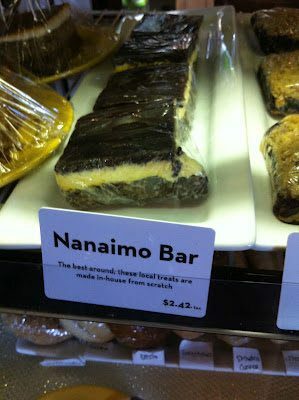 Be sure to try a Nanaimo Bar when you are in Nanaimo!